I read this one a few weeks ago, and was so distressed by the whole thing, that I huffed in exasperation and then set it aside until I could get “over” it. I didn’t know exactly what I could say in the review other than, if you are in the mood for the ultimate in romantic deception, indecision and maybe even “payback” (depends on how you look at it, and who you’re rooting for)… then this might be for you. And I stick by that. Brandy: Read Love Lost, Love UnExpected and Love Square. Loved them all!! I was excited!! I enjoy a messy love triangle. But this one was plain crazy. Must be ’cause it was a “square”. And boy did I get that mess. Oh god… I’m one of those ridiculous heroines in all the romance novels that whines and cries and can’t make any decisions. Ohhhhh it made me squirrrrm (at first, out of nerves because well, let’s face it… this is not an ideal love story) but then it made me REALLY uncomfortable. I was (reluctantly) anticipating that “oh no, there’s gonna be trouble” situation, but I had no idea it was going to drive me as crazy as it did. In fact, it bothered me so much that I ended up not really liking any of the characters. The cheating and lies were just so blatantly unapologetic. Someone had her cake and made sure to eat it all, too. Over and over again. A married woman runs into her old high school player of a boyfriend. She thought she was over him but seeing him again (and his intense reaction to her) rekindled that spark. And his adamant pursuit of her begins. She tries to resist but her disappointment and loneliness in her current married life (with reason), has her playing with fire. God I just want to scream, “Say something already! Please just tell me what is wrong with us!” But again… silence. Let the games (and burns) begin! I have an angel on one shoulder and a devil on the other. The angel keeps warning me nothing good could come out of spending time with Jacob while the devil keeps telling me it will be fun to catch up with an old friend and just go with the flow. And in all of it’s craziness, I actually have a feeling parts of this story had a more raw realistic look into an affair which is probably why it gave me such bitter cramps. ‘Cause it didn’t always go like I expected it to. There was a certain seediness to their indiscretions that didn’t follow that “perfect sequence of romance-book events”. It actually surprised me, ’cause the “correct” thing to do, the lessons to be learned, well… they didn’t happen as I would have expected them to. Characters aren’t necessarily being “saved” in this one. I feel utterly worthless thanks to the way he blew me off. People get attached, people get hurt, people have expectations, people make ultimatums, people continue to be indecisive, and sometimes there’s a sort of “payback/downward spiral”. And it’s all here too, butttt…. there were just a few surprise reveals and consequences, that weren’t exactly as I imagined them to be. And sometimes the characters surprised me. They would act (for the most part) one way, and suddenly, I’d be faced with a completely new side of them that would appear out of nowhere. But then again, considering the dire circumstances, personality changes are to be expected, I suppose. But either way, I just couldn’t “fall in love” with any of ’em. I couldn’t pick a “team” or feel connected to anyone because mostly, they were being such indulgent brats. While there were certainly a few heart-wrenching scenes, there wasn’t enough depth or intensity for me to want… something, or anything in particular. Not enough for me to become completely invested in them. The back and forth and relentless duplicity drove me too crazy for me to truly connect. And yet, it still entertained me. I felt some of it. My heart stuttered twice. I hurt a few times, and that proverbial “slap in the face” sure did sting! And don’t get me started on the uncomfortable clinging. Eeeeep! So I liked it well enough. But just not to the… “OMG I love this and I LOVED such and such” level. More like… if you’re in the mood to be mad, annoyed and irritated and if you like to read about characters that do some obnoxious stuff, and you’re curious enough to see where it all ends up, then… this. And because of that, it’s gotta be an overall 3 stars from me. Yes, the epilogue totally threw me for a loop! Holy cannoli I was not expecting that!!! Omg I was so irritated through most of the book… I wanted to understand or even like the characters… I wanted to fall in love, have my heart ripped out and mended again. It could of been there if the author would have developed the characters more I think. But… I am just blah about this book. Then the bomb dropped… saw it coming, then I figured they all got what they deserved. I really really wanted to like it. Susan you took the words right out of my mouth! LOL!! And Jeanie… I agree… considering book #1 and certain reactions, intro to #2 really has me wondering…? I couldn’t connect with the characters either. Something was missing, or maybe it was there and I didn’t see it because I wasn’t connected with the characters? Too much vindictiveness and not enough agnst? It bugged me that the husband was so forgiving too. From your review, this book reminds me of Closer, the movie with Jude Law and Julia Roberts. Initially, I was unsure about reading the book – however, it got mixed reviews. I decided to read to see what I thought. I gotta tell you that I liked it and was surprised. I didn’t see it coming – I actually liked the husband at the end – didn’t see it coming. So 4, maybe 4.5 stars for me – I definitely want to read book 2.
at .99 cents I’m going to go for it. I love seeing everyone’s responses all over the place from it so I can’t wait to see what I think/feel about it. I’d love to hear what you guys think about it. And DA, it was certainly one that I didn’t put down easily, but I was huffing and puffing all the while. LOL! I started reading this book last weekend and only got through a few chapters before I decided to move on to another book. I felt similar to what you said – kind of uncomfortable with the characters and didn’t really bond with them. Maybe I’ll pick it up again at a later date, but there are so many other books out there that are easy to get into and I actually like / love the characters. 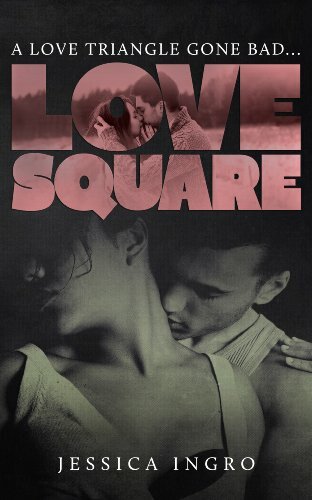 I just finished reading love square. I enjoyed the book. I won’t be reading the second one though. I was disappointed that Sam only worried about her self. I didn’t see her reaching out to her husband, but she sure reached out to Jacob. If in the second book she ends up with Jacob I don’t want to know. I felt as if Sam came across as a child, who does what she wants. Aidan at least tried to fight for his marriage Jacob is just as selfish as Sam. I was never one to believe that it was OK to stay in a marriage till someone better came along. So maybe this just wasn’t the book for me.